Sony is supposedly working on a Spider-Man movie with a female lead. Here’s some information (and a photo of Ben as Bruce) about what Batman’s been up to before Batman vs. Superman begins. 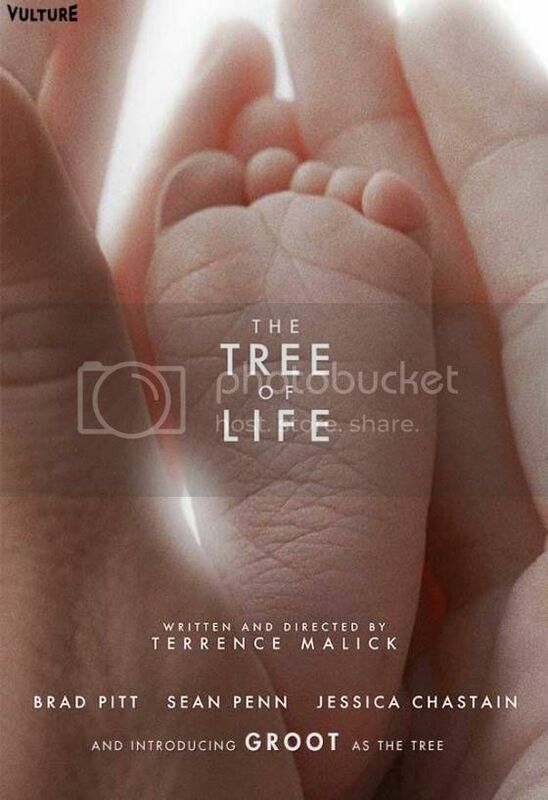 Speaking of, the movie’s release date has been moved; it’ll now open March 25, 2016. DC has released their timeline of releases through 2020, but no titles as of yet. The Hobbit: The Desolation of Smaug’s extended edition will be 25 minutes longer. Jon Favreau’s The Jungle Book just keeps getting better: Bill Murray has joined the cast; he’ll voice Baloo. Jennifer Lee (director of Frozen) is working on a new adaptation of A Wrinkle in Time. Terminator: Genesis is actually Terminator: Genisys. Your guess is as good as mine. Paul Feig (director of Bridesmaids) might be directing a female-centric Ghostbusters 3. The reboot of The Mummy will be the first movie in a new Universal monsters franchise. Snow White and the Huntsman sequel The Huntsman will now be a prequel, and will focus on the Huntsman and the evil queen. Carrie Brownstein (Portlandia) will finish the Lost in Austen movie Nora Ephron was working on before her passing. Ricky Gervais is working on an Office (U.K. version) spin-off movie. The Pride and Prejudice and Zombies adaptation isn’t dead yet. 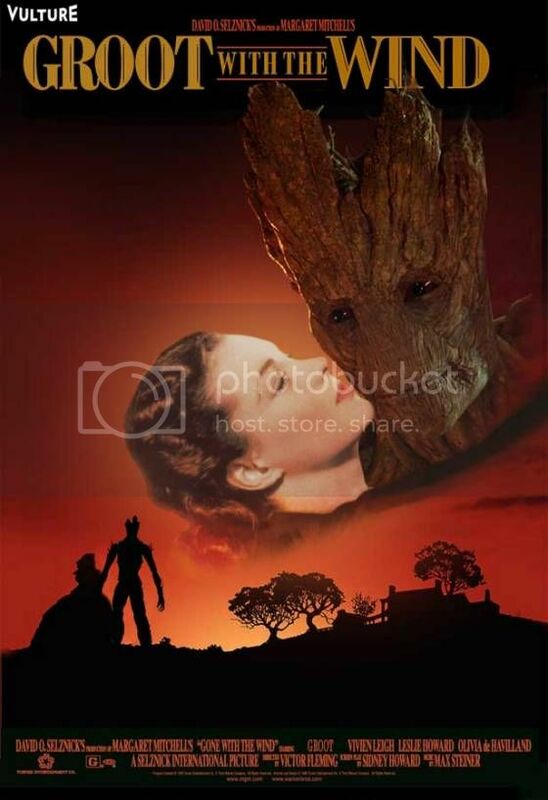 These fake movie posters starring Groot shouldn’t amuse me as much as they do, but I do what I want. And these Easter egg round-ups are super helpful. The premiere dates for the networks’ fall season shows have been released. Madame Vastra is back in these new Doctor Who series 8 photos. Moffat wants to do more online content during the next series. Interested in the series 8 premiere in a theater? Here are more details. Gag reels for Community’s fifth season have been released (exclusively and non-embeddedly) on Yahoo. Here are some more photos of Once Upon a Time’s Frozen characters. John Stamos has joined ABC’s upcoming Galavant (the medieval musical show). James Corden (Doctor Who, Gavin and Stacey) might be replacing Craig Ferguson on The Late, Late Show. Here’s a first look at Matt Murdoch in his lawyer costume (a.k.a. street clothes) from Netflix’s Daredevil series. Funko has released a new line of POP! key chains. I hope they release more soon! Saga co-creator Fiona Staples has created an awesome cover variant illustration for the new Thor. George R.R. Martin is working on a Song of Ice and Fire children’s book. Think Geek is selling an exclusive Borg Cube mini-fridge. Disney is working on plans for a Star Wars theme park. The Mars 2020 Rover just keeps getting more kitted out. Here are ten things you should know about Ebola. Stem cells have been found in the nerve cells of teeth. In keeping with Siberia’s mysterious sinkholes, a lake has suddenly appeared in Tunisia. Scientists might have figured out that whole Siberian issue, however. Thousands of transparent blue creatures have washed up on Californian shores recently. Related: Scientists can now make organisms transparent. Celestis Pets will launch the ashes of your dead pets into space. Guardians of the Galaxy skins are coming to Minecraft on Xbox 360. The full Halo and Mass Effect SDCC panels are now free-to-watch online. Resident Evil is getting a re-remake early next year for Xbox 360, Xbox One, PS3 and PS4. Middle-earth: Shadow of Mordor has a whole slew of retailer specific pre-order bonuses. 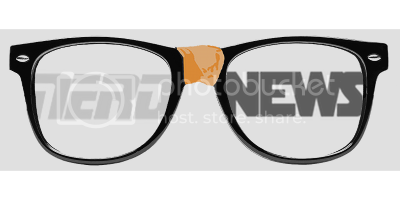 Here’s a breakdown/guidance on where to buy. And here’s a new gameplay trailer for the game. Here’s a nice infographic about the Destiny beta. Zelda villain Ganondorf will be playable in Hyrule Warriors. No Man’s Sky will be made available on PC after its PS4 debut. Habitat—a game that asks players to ensure humanity’s survival by collecting junk in space and building livable ships out of it—has already been announced for Xbox One, PC, Mac and Linux; the game will also see a release on PS4. Expect it in 2015. Oort Online, which will be a large, multi-world, MMO about discovery through exploration, is being crowdfunded and crowd-developed (kind of). Double Action is a game full of fancy, slow-mo, John Woo-style action sequences. Here’s a trailer. Broforce is an over-the-top, explosion- and bullet-filled, 2D side-scrolling shooter. That said, it makes perfect sense that it would get tie-in Expendables 3 features. Here’s a trailer for the free Expendabros featuring Broney Ross, Bro Christmas, Bro Caesar and several other bro-ized cast members. Three volumes of songs from the original Mega Man games are now available on iTunes or Amazon. USA Now and Syfy Now apps are coming to Xbox Live to provide on-demand streaming of those networks’ content. Gamestop is revamping its trade-in system. Song of Ice and Fire children's book, oh dear Gods, haha. Seriously though - cute! I AM SO EXCITED FOR THE CUTE VICTORIAN LIZARD LADY IN DOCTOR WHO, haha. I love her! (Yeah, that's how I describe her.) Those Velella velella are so pretty, poor little creatures! I love that lake, but I can't believe people are swimming possible poison radioactive water, haha. 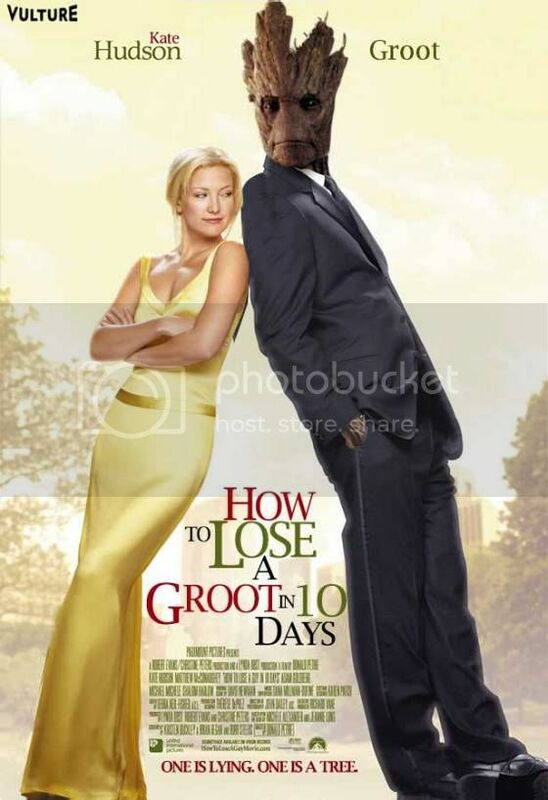 Those Groot movie posters - classic!! The one with the teeth just kills me! Re: the lake—Right? It's super pretty, but ... I'd be much too worried about fallout. Star Wars theme park?! Dreams do come true (hopefully). 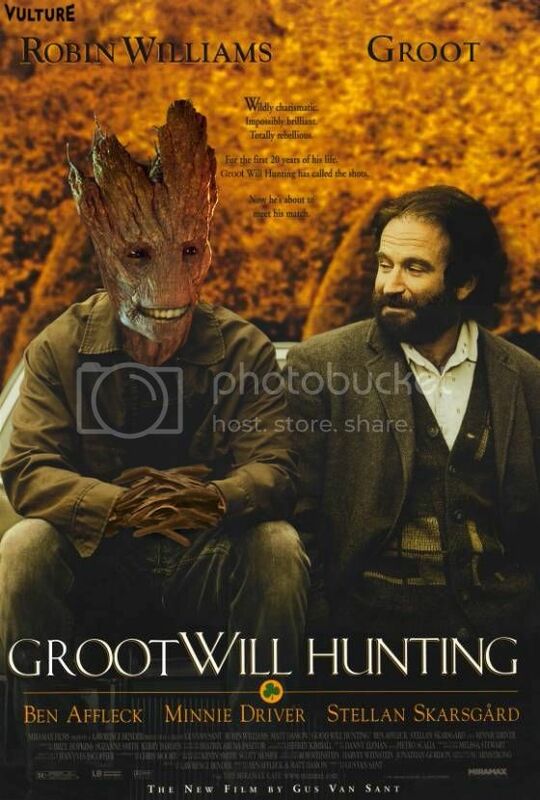 I can't stop laughing at those Groot posters, especially Groot Will Hunting. Right? They're hilarious. 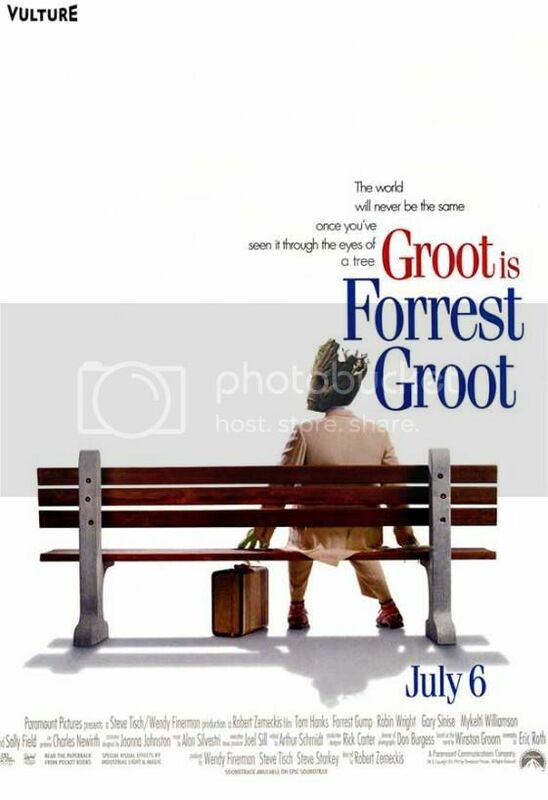 I'd watch more Groot-centric movies, for sure.